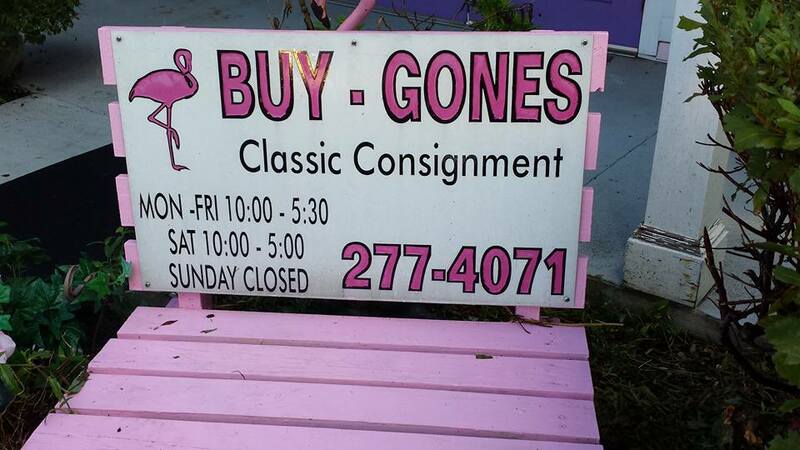 I was cruising around on Fernandina Beach when I spotted a big bright pink building..
With a flamingo and those words I love Consignment and Thrift Shop. or if you got three of those items it switched to three for five dollars! I scored a gorgeous sequined jacket and two pairs of jeans! so I grabbed it too! 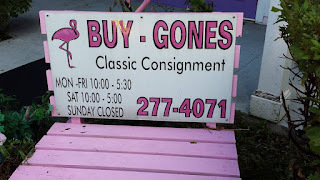 That's what happens when I'm out and about ThriftTrippN I stumble up on great shops! 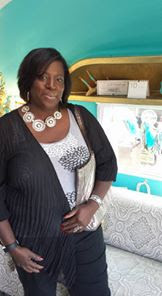 What about you do you seek out thrift shops when you are traveling for work and for fun? !